For all the complaints that detractors may have about Japanese anime as a storytelling medium, its command of both style and kinetic energy is undeniable. Such invaluable assets go a long way in smoothing over the ambiguities and cultural barriers that seem to be inherent to the form. While style is never truly an adequate stand in for substance, it’s hard to tell your brain that when your eyes are taking in a visual feast. During such moments, the viewer is compelled to rule all out other criteria, as what they behold feels very much like an end unto itself. The Japanese manga 009 Re:Cyborg tells the story of nine cybernetic organisms who were created as agents of destruction. They opt for serving the public good instead, and go on to wage hi-tech war against their sinister creators. The property has already served as the source of much inspiration in its native land, and is now getting the feature length treatment courtesy of Japanese animation studio production I.G. Filmmaker Kenji Kamiyama is prepared a promo video as primer to give audiences and investors an idea of what to expect. As it begins, the camera moves slowly over a massive cityscape as if carried by the winds that can be heard on the soundtrack. From there, the clip becomes a demo real of each characters special powers, the highlights of which are varied and bizarre. One character is shown ramming a clenched fist into an open palm as his body swells up Hulk style, ripping his clothing to shreds. A professionally dressed woman performs a backward dive off of a transport aircraft emerging from billowing dark clouds. Yet another character is shown to be using thermoptic camouflage to blend in with a brick wall. He steps out of an alleyway to attack a well-dressed agent from behind. His limbs then wrap around the agent like octopus tentacles and snap his vertebrae. The scene then shifts to a freeway chase involving a handful of jeeps. The driver of one vehicles pulls a glove off his right hand to reveal a mechanical appendage with multiple gun barrels. He commences to spraying the pursuant vehicles with automatic gunfire. One a rainy helipad, a red haired character barely dodges a finishing blow from the Hulking brute shown earlier. A blonde character runs down a city street, nearly causing a multicar collision in the process. He suddenly leaps into the air, and his feet transform into jet thrusters. He takes flight through the canyons of the Times Square like location as if on a hover board. A slow pull back reveals all of the characters standing side by side in matching burgundy uniforms. The title appears on the screen. Japanese voice over narration (sans English subtitles) begins at the 59 second mark. It lasts a mere 20 seconds, at which point the clip becomes an exercise in the conveyance of information solely through visuals. The animation is rendered with 3D modeling and texturing. Such computer assisted techniques often lack the fluidity of traditional cel animation. Interestingly, the abundance of onscreen activity maintains a consistent forward thrust. As it stands, the clip plays like a rapidly moving storyboard in that it hops frantically from one situation to the next. Overall, it plays like a sci-fi/action rendition of the Marvel superhero team aesthetic. There are some very obvious nods to both The Uncanny X-Men and The Fantastic Four. 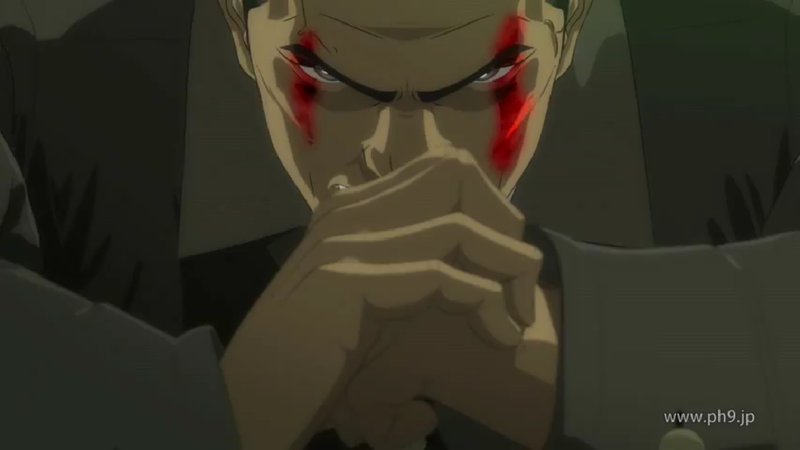 I knew nothing whatsoever about 009 Re:Cyborg aside from what I have seen here. Based on the scant information I do have, I’m guessing the finished feature will be thrilling and colorful sci-fi/superhero yarn, complete with flashy action sequences and character designs. Call me an easy sell, but that’s pretty much all I require from something like this. Anime is like junk food for the imagination. It pleases ones inner child and entices the creative juices to bubble into a rolling boil. Detractors who continue to criticize its supposedly compensatory stylization are completely missing the point. Such is life. Us man children tend to see the world in brighter colors than most, God bless us.